Traveling and need a place to work? As a Homestead member, we have you covered! You get 3 FREE days of hot desk space in our sister spaces in any of the following cities! Woodworking and industrial workshop with a small showroom right off 99 Street. Love what you do? Us too. That’s what defines the people at UnitB. We're a coworking space that values and supports people pursuing their passions — whatever that looks like. We are Edmonton’s first food focused coworking space, designed to meet the needs of our growing food community. Not only will you find space to create and collaborate, AFC offers a variety of business related services all under one roof to help you navigate the entrepreneurial lifestyle. At URBN we encourage you to collaborate, connect & create with other members to grow your personal business. The only cowork space in Calgary to offer partnered child care services, and use of a full gym for our full time members. Assembly is a coworking space located in Calgary’s vibrant Kensington neighbourhood. We offer a comfortable, casual office environment with amenities and social opportunities suited to tech start-ups and small businesses. Work Nicer provides our members with a physical location to call their own, offering workplace necessities and an environment that connects them to some of Calgary’s most exciting entrepreneurs. We knew Sherwood Park was not only ready but eager to host such a space. So we went for it. Our IBC is an iteration of this model with a twist: all of our members connect with creativity and each other. Welcome to The Port - an environment that truly nurtures growth, collaboration, and success. Our bright, open, and uniquely furnished Coworking community is the perfect place to come, connect with, and work alongside other creative and like-minded individuals. NABI Commons is a collaborative co-working space made for entrepreneurs and professionals alike. With our on-site expert coaches, you can find the guidance you need to grow your business. We are equipped with ample desk space, a boardroom, phone room, and kitchenette. Being just minutes off the Henday we are easy to find. So, come to NABI Commons to discover new ideas and grow your network. Grow your business with us! We are building an exciting community that offers so much more than just a place to work. Encouraging, inspiring, collaborative, and local for all things business in the Tri-region area, we are a hub for entrepreneurs, startups, small business owners and like minded individuals. Coworking space, private office spaces, event venues: memberships are available to accommodate your needs. Our goal is to provide a calm inspiring work space where entrepreneurs can connect, create and collaborate on new and exciting opportunities. HiVE supports and amplifies the social impact sector by providing social cohesion, human capital and resources that enable our members and partners to thrive. Suite Genius is your neighbourhood shared workspace for entrepreneurs and freelancers looking for increased productivity, collaboration and professional networking opportunities. 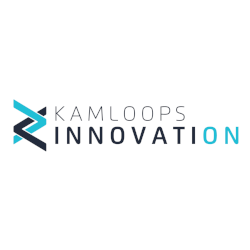 We offer affordable programs that guide, coach and mentor early stage ventures, collaborative and shared office spaces, and host, facilitate, initiate, partner, sponsor, and generally support all sorts of events that help to grow the tech community in Kamloops and our region. We offer a comfortable, casual work environment with amenities and social opportunities suited to tech start-ups, non-profit organizations, remote workers and small businesses. At coLab, we invite isolation-crippled professionals in from the cold, wrap them in a thick blanket, and slowly nurse them back to health with the support of a like-minded community (and some miracle-working coffee). We’re not kidding about the coffee – stop by and have a cup. Contact coLab today to learn how coworking can improve your productivity and give your remote work arrangement a boost. Ideas Inc is a business incubator located in Saskatoon, Saskatchewan which serves as a launch pad to develop growing businesses by offering co-working space, coaching and mentorship. Launch is Winnipeg's newest coworking, meeting, and event venue for entrepreneurs, small businesses, freelancers, and innovators. You’ll find a work space that's is convenient, modern and open 24/7. We promise to provide you an ambient with minimal distractions. 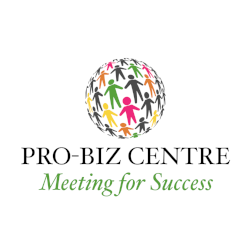 A perfect meeting place for your growing team, or clients. Definitely a place to connect, create and collaborate while in Winnipeg, MB. We are the Halton Hive, an innovative co-working space in Burlington. The idea for the HiVE grew out of a desire to avoid the commute to Toronto and find a creative place to work closer to home. There are many talented entrepreneurs, freelancers, and professionals in the Burlington area and we plan to be the connecting space that brings great people and ideas together. Situé au cœur du Plateau Mont-Royal dans un magnifique loft rénové, Ecto est un espace de travail créatif et collaboratif pour travailleurs nomades. Common Ground Coworking is St. John's first coworking space. With two locations and an ambitious expansion plan, we offer individuals and small teams an inspiring place to work and collaborate. Many entrepreneurs, community groups, and students feel isolated and open to distraction in coffee shops and home offices -- and many are wary of the financial commitment or lack of flexibility that comes with leasing their own space. We're committed to solving those roadblocks for you, offering month-by-month coworking, fixed desk, and private office memberships with access to professional boardrooms and all maintenance and amenities provided for. (co)space is a community-driven shared workspace located in Whitehorse, Yukon – the first coworking space north of 60. (co)space is the rallying point for the Yukon’s entrepreneurial community, dedicated to fostering business development and innovation in the North. We provide access to a workspace downtown Whitehorse, programming and events that develop your business and build community. The 701 Coworking by Evolve Grand Forks is designed for entrepreneurs, small business owners, freelancers, remote employees, nonprofit professionals, and anyone with a dream to pursue or a job to do. Located in the heart of downtown Grand Forks, The 701 Coworking is where productivity and creativity co-mingle. More spaces to be added soon!